Unsettling, yet somehow charming, Inside is wholly unique. Though the spiritual successor to Limbo, it improves on Playdead’s last game in just about every way. Simply put, Inside belongs in the select group of titles that both have a clear vision of what they want to be, and execute that vision to near perfection. On the surface, there really isn’t all that much to Inside. 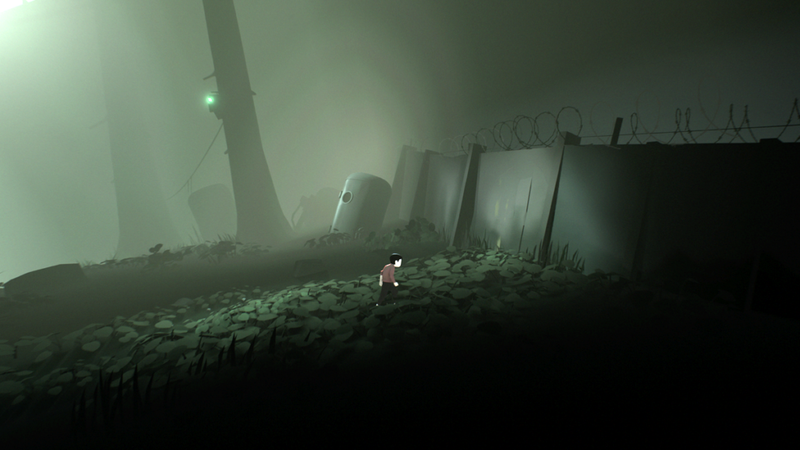 Like Limbo before it, it’s a sidescrolling puzzle platformer. As minimalist as they come, there’s no dialogue, no text, very little music, and a grand total of three controls: move, jump, and grab. With all of that in mind, it’s therefore stunning just how much mechanical and emotional depth Playdead manages to cram into the game’s short-and-sweet three hours. You start off in a forest as a young boy who drops to the ground. Not given any indication of what to do, who the boy is, or even what the controls are, you’re given only one open direction to run, and the game continues from there. This should sound more than familiar to anyone that’s played Limbo, but it doesn’t take long for Inside to prove it is a very different game. While the boy is restricted to running left or right, the world itself is still 3D. Cars go by in the background as strange masked men and hunting dogs scour the woods. Instead of just being set decoration however, the men can move into foreground and chase you if they catch the boy in their flashlights. Soon, without ever needing to be told why, you find yourself in a desperate struggle, trying to stay hidden. Trading in the haunting shadows of Limbo for a more varied visual pallet, Inside still manages to keep a similar unsettling air to its art. As muted as they are, the colors and purposeful blandness of certain aspects of the world are more than enough to send a chill down your spine. Inside’s art hits the exact balance of being absurd, but having just enough reality mixed in to give the game world a palpable unease unlike almost anything else. This extends even to animations and character design. The boy’s little reactions, how he shies away from bright lights or crouches down when scared, all serve to humanize him. Simultaneously, his blank, featureless face makes him look like something out of a nightmare. That said, it’s the world itself that is the true character and focus of Inside. 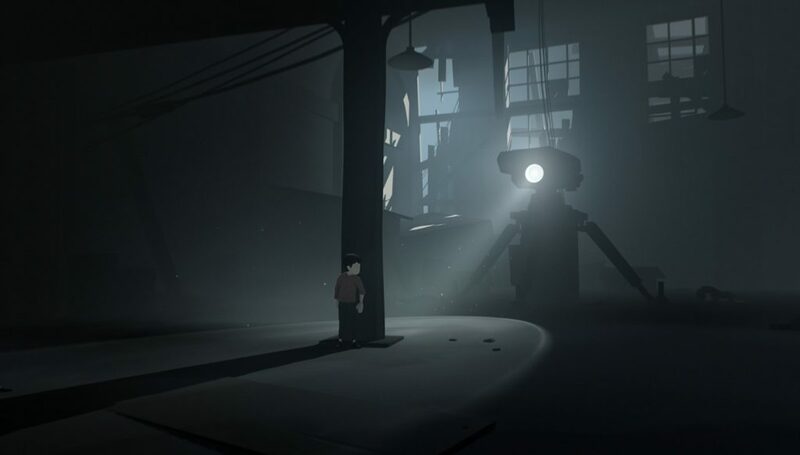 It echoes the same move from nature to industry that characterizes Limbo, but Playdead has gone much further than that. Without a single line of written or spoken narrative, Inside weaves a detailed, rich, grotesque, dystopian future. What begins as dead livestock and lines of people mindlessly marching eventually morphs into things that are much more sinister and strange. Even now I’m still not entirely sure what is actually happening in Inside’s world, but the visuals and feelings it produces will stick with you, long after you complete the game. Part of this is due to how little the setting feels like a simple backdrop. In many games, including Limbo, the setting is just there for the player to conquer and explore. Here however, its full of minute details that breath life into the world. Be it people in the world reacting to you, the baby chicks that crowd around your feet on a farm, or the fish you see swimming in the water. Everything feels alive in a way most 2D games just never capture. 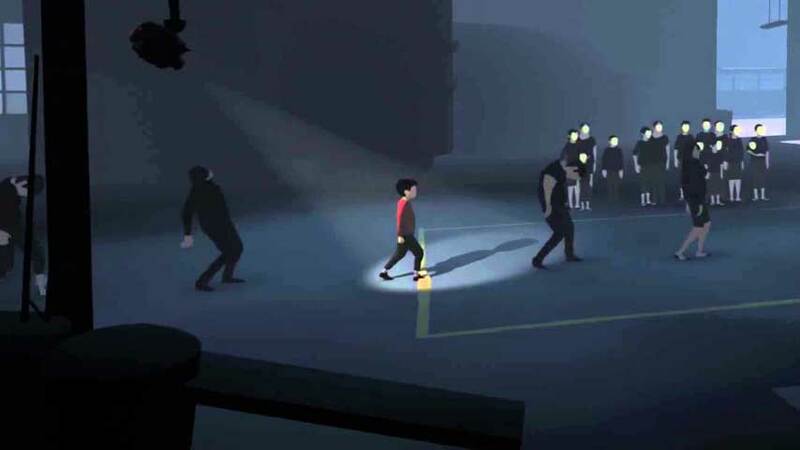 As incredible of a world as Playdead has built, none of that would be worth it if the game wasn’t so much fun to play. Far more than the usual puzzle platformer fair of just figuring out how to progress, a good amount of your time within the game is spent outsmarting and escaping various enemies. When to run, when to hide, and even how to blend in and use the environment to your advantage all become part of the game’s platforming mechanics. Since the boy has no way to fight back, your only option is avoidance, meaning each enemy encounter becomes a puzzle all to its own. Even while kept to the boy’s 2D plane, the mix of needed timing and preparation make for genuinely intense moments. Often, in order to have enough time to pry open a door for instance, you have to let enemies see you, just so you can lure them away. 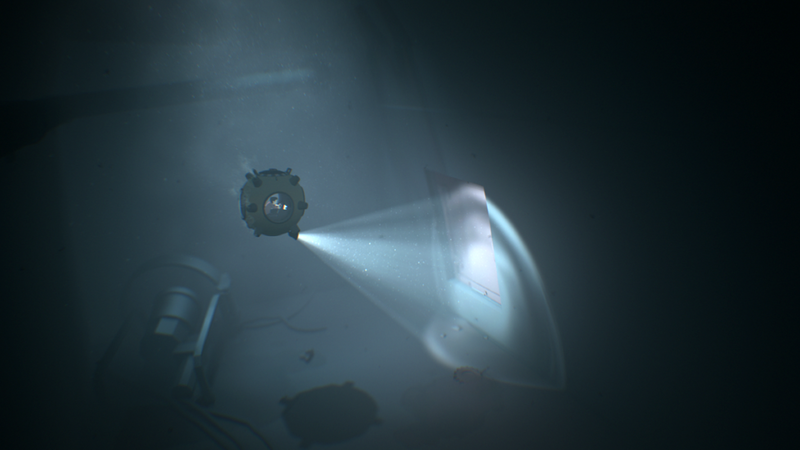 If there is one complaint I can lodge against Inside, it’s the fact that it does little to ease the player into this. There are environmental cues as to what to do, but until the player can learn to recognize and understand them, the first hour or so of the game does feature quite a bit of trial and error. Many times, figuring out the timing for a particular puzzle does take more than a few tries, each one ending in a particularly gruesome death. Speaking of, while not necessarily a bad thing, the death animations can be a little over the top. Limbo’s dismembering of the shadow child was disturbing enough, but Inside includes a much more realistic child being choked, mauled by dogs, tased, and literally blown to pieces by machinery. Though somewhat in line with the grotesque nature of the game world as a whole, some players might be understandably hesitant. Enemies aside, there is still plenty of traditional platforming and head-scratching puzzles to solve as well. Sticking with the minimalist control scheme, the constant introduction of new ways to transverse and interact with the environment keeps the game fresh from beginning to end. One of the biggest aspects of this includes the ability to swim. Perhaps a cheeky nod to the fact water instantly kills the player in Limbo, you actually spend a surprising amount of Inside in the water. The boy can’t hold his breath for very long, but being able to swim adds a massive amount of variety to the environments and puzzles. Not satisfied leaving it there, Playdead then changes things up later in the game with the introduction of new elements, like a personal submarine, that let you explore beneath the surface to your heart’s content. Each new wrinkle in the formula doesn’t just add to the complexity of the game however, it feeds back into the environmental storytelling. Every last piece feels purposeful and enriching. This is what happens when magnificent storytellers, artists, and designers all come together, firing on all cylinders. And as disturbing as the world of Inside is, it’s a joy to behold. Must play. A 10 represents an outstanding game that succeeds in ways few other games have.